At this time last year, I had the privilege of visiting Israel. Other people who had taken the trip told me that it would change how I read the Bible for the rest of my life. As we’re reading this famous story of the walls of Jericho falling down, I remember how it felt to be sitting on a hill in the new Jericho. The old Jericho was cursed so the new Jericho was built close to the old city but not at the same place. 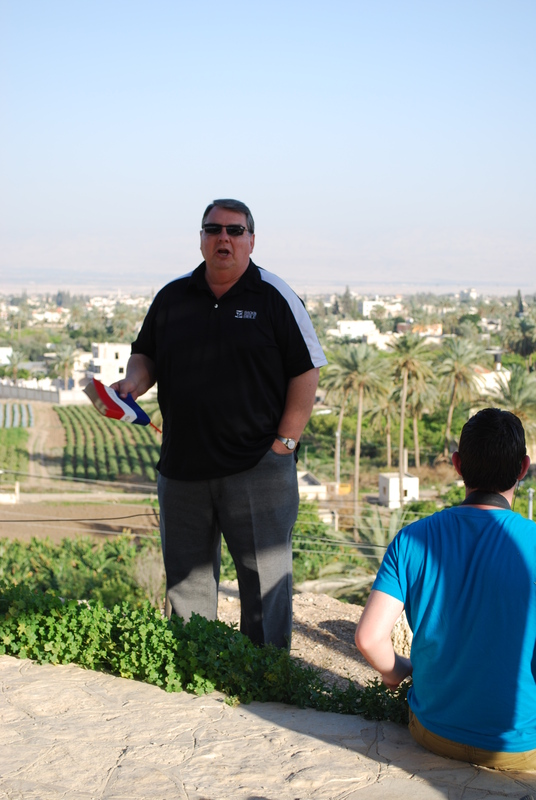 Our tour guide was Dr. Woodrow Kroll who was leading his 50th group through Israel. 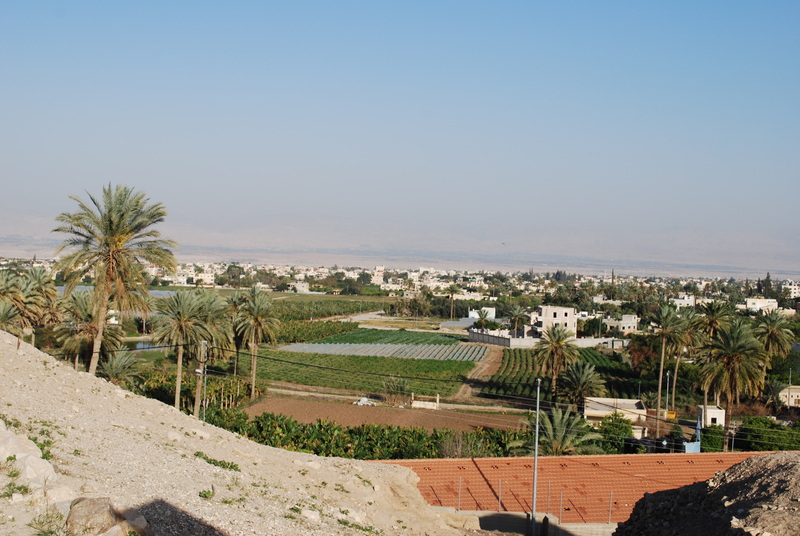 He stood in front of us on a hill with his back to the city (picture) so we could look down at this land promised to the Israelites thousands of years ago. He read from the Bible the historical account – the marching, the yelling, the trumpet blowing and, finally, the walls tumbling down. Sometimes when we hear about the ‘stories’ of the Bible or read one of these historical events that have become a well-known Children’s Bible story, we can start to think that these stories are folklore, handed down through the generations. That’s not true about the Bible. The Bible is a historical account of events that happened. The miracles in the Bible actually took place, they weren’t computer generated like they are in the movies. Archeological findings continue to prove the historical truth of the Bible. The amount of conflicting archeological findings is growing smaller as more and more things are being discovered that verify the historical accuracy of the Bible. They just haven’t found everything yet. When they do, there will be no more conflicts. The Bible is not filled with ‘stories’. It is history – our history as children of Abraham. Children of the faith. The places are there. The proof is there. If you ever get a chance to go, pack your bags. It will change how you read the Bible…forever.